by Porta Mallorquina Real Estate. houses and apartments for sale in Mallorca. in Mallorca by Porta Holiday. In the summer of 2017 the Balearic government imposed a short-notice moratorium on holiday rentals. Since July 30th, however, renting licences can once again be applied for from the ministry of tourism. We have summarised the most important information for you. 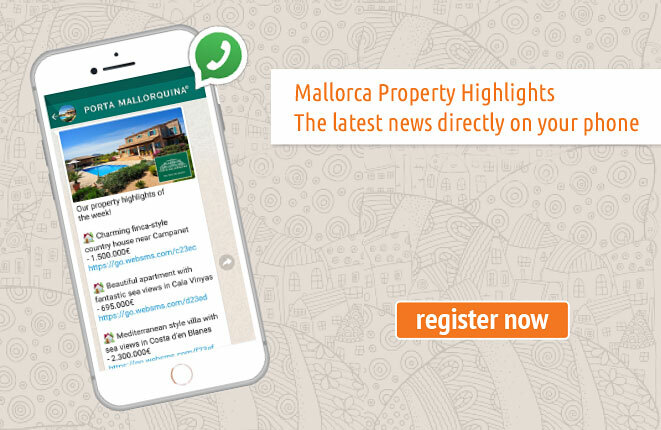 To offer exclusive real estate in Mallorca - that is what we specialise in. 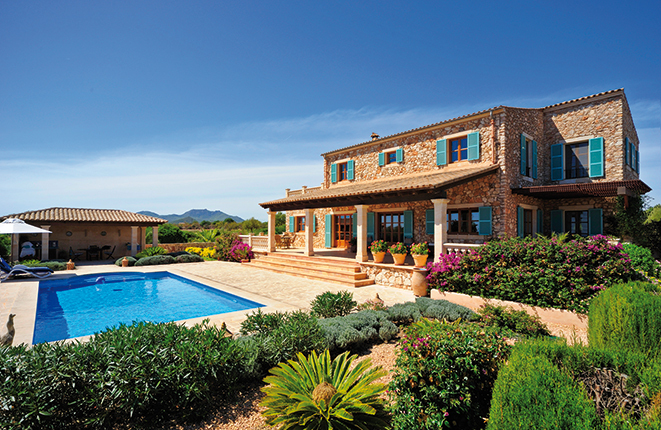 Our selected properties in Mallorca will entice you: with original charm, luxury ambiance and Mediterranean character. We inform you in detail about each Mallorcan property with pictures, maps and everything that is worth knowing about location, environment and recreational activities. Upon request, we will send you a detailed summary. Take a little time to look at our selected Mallorca properties at your leisure: the penthouse with a sea view at Port d’Andratx marina, the stylish apartment in a grand mansion in Palma de Mallorca’s old town, or the luxurious villa for sale in Santa Ponsa, directly beside the golf course. 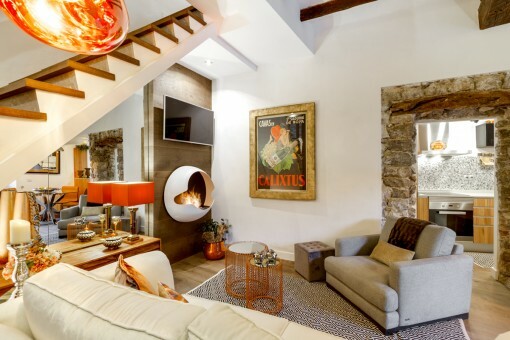 Perhaps you are looking for a townhouse on one of Artá’s medieval streets, a Mallorca finca surrounded by unspoilt nature in the centre of the island, or a country estate in Soller and Valldemossa close to picturesque villages in the northwest? Or maybe a bungalow, right beside the sea in Port de Pollenca and Alcudia? In Pollensa, Campanet or Buger? 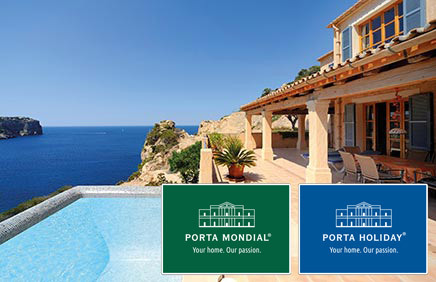 Porta Mallorquina Real Estate will fulfil your property dreams – choose from a portfolio of 2,000 properties for sale in Mallorca to find the home you have always wanted in the sunny south. Live and work - Mallorcan commercial real estate. Here you will find a small but fine selection of beautiful finca-hotels, hotels, industrial plots and other commercial properties in Mallorca. Let us advise you. 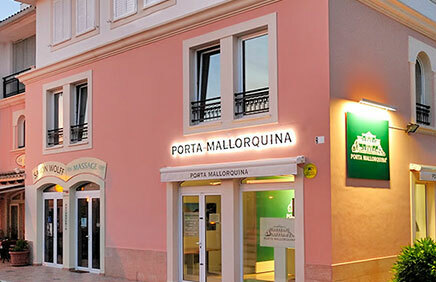 Porta Mallorquina Real Estate rated 4,8/5 based on 123 reviews. We noted that they were very competent and gave professional advice, but especially that they were transparent. Of course they wanted to sell on the part of Porta Mallorquina, but we were never stressed or overwhelmed. We have now been the proud owners of a small but fine country house for 3 years and enjoy our time on the island again and again to the fullest. 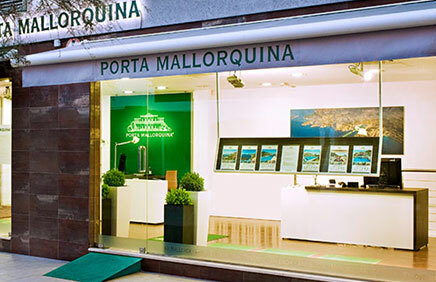 Porta Mallorquina and their employees we can highly recommend, we would work with them again any time!" Rating by Frank Maier, Romanshorn to buy a finca in Alcudia. 5 / 5 Stars. What customers say about Porta Mallorquina Real Estate. 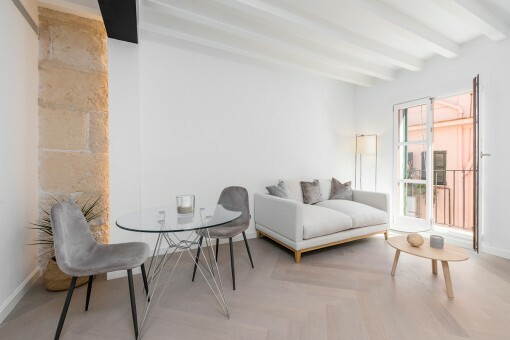 you are reading: Mallorca property for sale - Porta Mallorquina Real Estate, Majorca · Porta Mallorquina Real Estate Rating 4,8/5 by 200 testimonials.